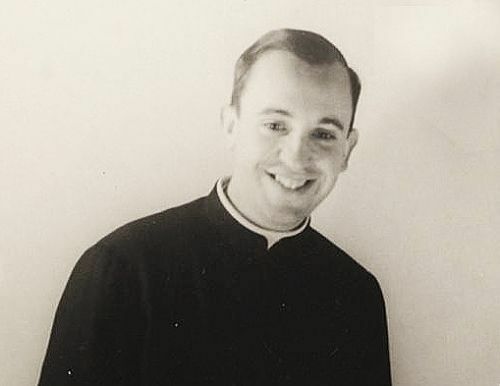 “I don’t know what happened.” Young Mario Bergoglio was 16 on Saint Matthew’s feast in 1953, when he had a decisive experience that changed the course of his life. Today Pope Francis transmits to young people the experience of his youth with discretion and modesty. On the eve of the feast of the Apostle and Evangelist Saint Matthew, the Holy Father greeted young people as usual at the end of the General Audience of September 20, 2017. “May his conversion be an example, dear young people, to live your life with the criteria of the faith,” he exhorted. The Pontiff has never forgotten that Confession that changed his life, on the day of Saint Matthew in 1953, in Buenos Aires. Born in 1936, he would be 17 the following December 17. Father Carlos B. Duarte Ibarra was there, at Flores: “I had no doubts that I should be a priest,” he added. Austen Ivereigh recounts it in his biography of Pope Francis (“Francis the Great Reformer”): “God passed before him” on September 21, 1953. Walking down Rivadavia Avenue, he passed in front of Saint Joseph’s Basilica, which he knew well. He then felt a strange need to enter it. “I went in, I felt it was necessary that I enter — those things you feel in you without knowing what it is,” he explained to Father Juan Isasmendi at the parish. And the author quotes all this passage: “I looked, it was dark, it was a morning in September, perhaps 9 o’clock, and I saw a priest walking, I didn’t know him, he was not part of the priests of the parish. And he sat down in one of the Confessionals, the last one on the left when one looks at the altar. I don’t know at all what happened next. I had the impression that someone pushed me to enter the Confessional. Of course I told him certain things, I went to Confession — but I don’t know what happened. When I finished my Confession, I asked the priest where he was from, because I didn’t know him, and he said: “I come from Corrientes and I live very close to here, at home. I come to celebrate Mass here every now and then.” He had cancer – leukemia – and died the following year. “In a letter of 1990, to describe this experience, he explains that it was as if he had been thrown from his horse,” continues Ivereigh. He recounted how he had an “experience of divine mercy,” and that he felt “called,” at the urging of Saint Matthew and Saint Ignatius of Loyola. The Gospel of the feast of Saint Matthew recalls Jesus’ call in his regard: “Jesus left Capernaum and saw, in passing, a man named Matthew sitting at his desk of tax collector. He said to him: “Follow Me.” The man got up and followed him.” The Pope is fascinated by Christ’s gaze that settles on Levi, on himself, on each one. He often invites to let oneself by looked at by Christ, to act under Christ’s gaze. His episcopal and papal motto is explained thus: “Eligendo atque miserando,” the election, Christ’s call, which is mercy, so that His disciple will do the same. And when he came to Rome and lodged in the Clergy’s House on Via della Scrofa, near Saint Louis of the French, he loved to come to contemplate the canvas of Caravaggio (1571-1610) “The Vocation of Saint Matthew,” painted between 1599 and 1600 for the Contarelli Chapel of the church of Saint Louis of France where it is kept up to today.